A look into this important Copa Libertadores fixture between Ecuadorian Independiente del Valle against Peruvian strugglers Melgar. With the latest news, stats and predictions ahead of this game. The last time these two teams met resulted in a 1-0 away win to Independiente. So Melgar will be looking to set the record straight in Ecuador, as they search desperately for this first Copa Libertadores win in Group 5. Independiente del Valle are coming into this fixture fresh off a 1-0 victory over league rivals River Plate on Saturday. Independente del Valle find themselves third in Group 5, 1 point behind Chilean Colo Colo, and 3 points behind Atletico Mineiro, so will be looking to boost their progression opportunities and take the full 3 points against a Melgar team who have lost all 3 of their Copa Libertadores games so far this term. 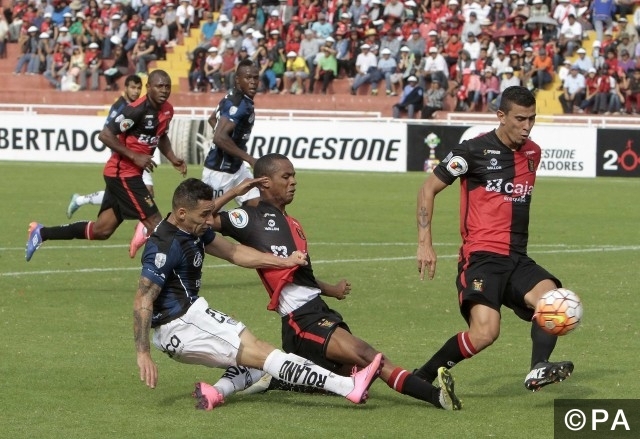 Melgar drew their last fixture 1-1 in the league against Centro Deportivo at the weekend, but have been in disappointing form of late both domestically and internationally, failing to record a win in their last 8 games. It is imperative they get the three points in this fixture if they hope to remain in the competition. Their leading scorer Omar Fernandez has only netted once in the competition, their only goal in 3 games, so they will be hoping he can increase his tally in this tricky away fixture. Independiente have scored twice so far this campaign, with Melgar chipping in a lowly one goal in three matches. It is unlikely there will be many goals in this fixture. Get Under 2.5 goals at 4/5 with bet365. The teams have only met once previously in their first group game of this years competition. With Independiente del Valle winning 1-0 away from home in Peru, thanks to a first half goal from Júnior Sornoza. Head coach Pablo Repetto has no injury or suspension concerns for this important Copa Libertadores fixture. Likewise his counterpart Juan Reynoso has a full squad available for this game. It has now been 8 games since Melgar last won a fixture, drawing 3 and losing 5 in the process. In their last 10 matches Independiente have scored an average of 1 goal and conceded 1.3 goals. Melgar have scored an average of 1.5 and conceded 1.2 in the same timeframe.